My husband and I have been feverishly getting through season 1 and 2 of Downton Abbey in an attempt to catch up with what’s airing on television these days. We have just a few more episodes to go in season 2 in order to catch up. But all this Masterpiece Theatre is really messing with my DNA. I’m finding myself thinking thoughts with a British accent. That is flipping insane. I was showering this morning thinking about some things I needed to get done today and caught it. Even the sayings I am thinking sound British. Anyway – I am completely obsessed with Downton Abbey. While my husband went to a friend’s house with the kids yesterday for the football game I ended up watching Wuthering Heights (as a filler) and balled my freaking eyes out. I NEVER saw / read that story. Of course, I heard about Heathcliff and Catherine in passing my whole life … but never actually understood their storyline. Well… talk about a tear jerker. I was inconsolable. Bill came home and I looked like Rudolph! Tissues everywhere. I HATE crying because of movies / TV shows. I typically try to avoid those type of shows at all cost. Well… silly me. 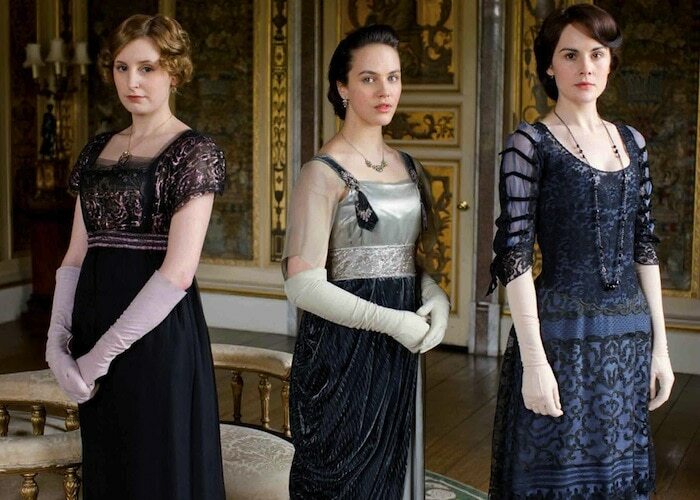 I am so excited for the return of Downton Abby tonight! And it was a great season premier!! Oh my goodness! Ob-sessed! My husband and I have been watching the previous seasons to catch up as well. Can’t. Stop. Watching!! !